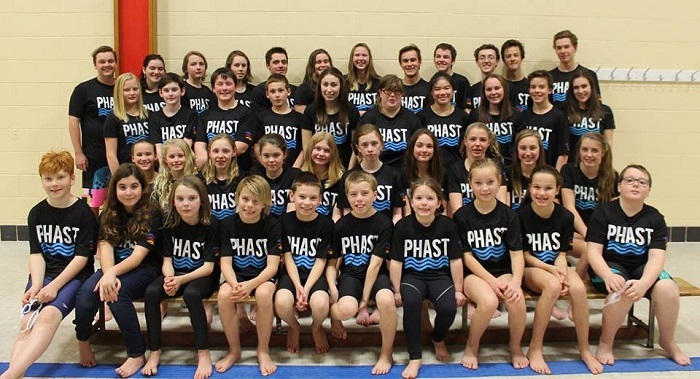 PHAST is the Port Hawkesbury Antigonish Swim Team, although each team practices in their own community, they combine forces for meets and special events. In addition, this allows the teams to share the costs of provincial fees and coaching costs. PHAST provides swimmers with a high level of coaching aimed at achieving goals related to fitness, sportsmanship and stroke development. After achieving a minimal skill level, athletes have the opportunity to compete with other swimmers throughout the Atlantic Provinces within their age group.